Insulated Lunch Totes keep snacks, sandwiches and drinks cool and fresh until lunchtime. They're also great for picnics or family outings! 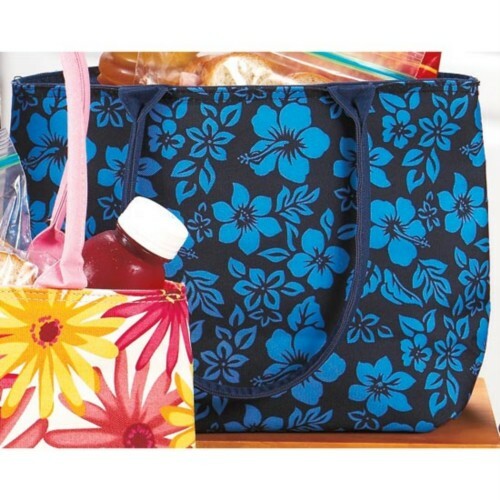 Stylish insulated totes flaunt bold floral-print exteriors and 8" double handles for easy carrying. Totes (13" x 9" x 4-1/2") have a zip top closure and lay flat when not in use for compact storage. Made of durable 600-denier nylon; spot clean. See "TOTES" for more colors! !